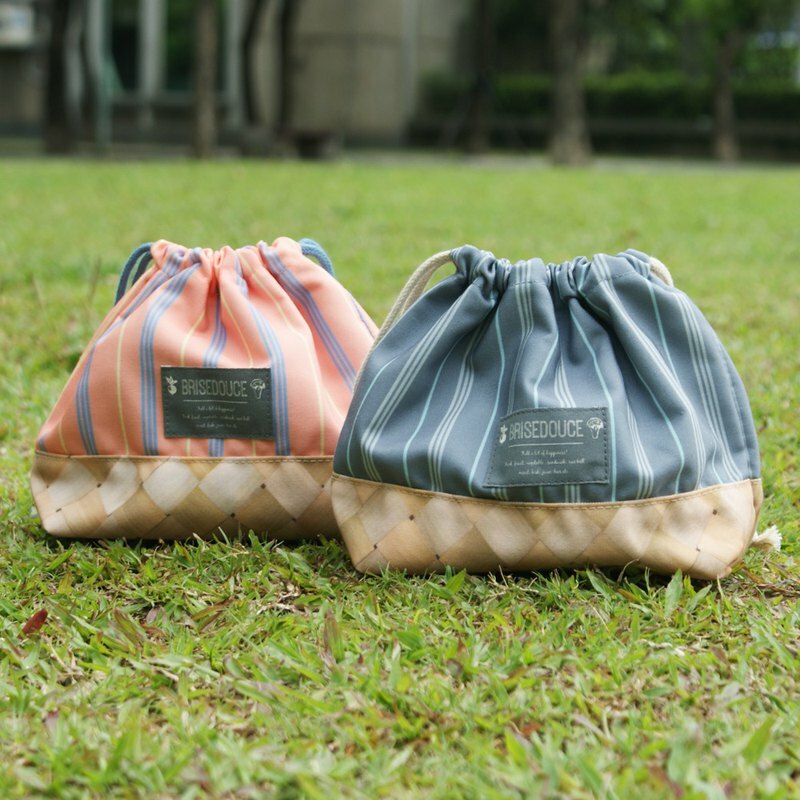 **[DESTINO STYLE] Japan BRISEDOUCE straight striped beam lunch bag BRISEDOUCE Lunch Pouch BSK** https://c1.staticflickr.com/1/855/41798948050_91cdb29c8a_c.jpg https://c1.staticflickr.com/1/858/43606546141_66f76eed90_c.jpg Bamboo weave x striped cloth Take off the new cool summer The lunch bag, which is a combination of bamboo basket and striped cloth, makes people feel more cool in the sunshine and makes the monotonous lunch bag vivid in daily life. The surface layer is actually a single material, which is convenient and easy to use or store. The outer layer of anti-pollution and anti-fouling treatment is relatively difficult to be soiled; the inner layer insulation (cold) design makes the convenience, food preservation and non-corrosion. The beam mouth design can stabilize the lunch, the food is not easy to tilt and overflow, and it is not easy to fall. In addition to the convenience, snacks, juice, and lightly pull the mouth, you can start immediately. /Features / -Imitated bamboo basket and striped composite visual effects - outer layer anti-pollution, good cleaning - lining insulation (ice) - beam design https://c1.staticflickr.com/1/920/41798948470_704c763e79_c.jpg /specification/ Material: surface layer - 100% polyester Inner layer - foamed polyethylene Size: W26 xD9 xH17 cm Weight: 60g made in China / style / **Pink orange K04-5149** https://c1.staticflickr.com/1/936/43606546631_2818b575d8_c.jpg **Gray-green K04-5150** https://c1.staticflickr.com/1/920/29736489198_59faf804f8_c.jpg https://c1.staticflickr.com/1/846/43606546881_43ddcfb506_c.jpg /Precautions/ -Because each computer display has a color difference, the color of the actual received product is the main one.